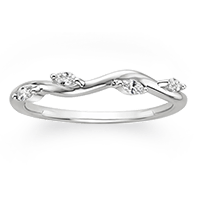 Learn about the many different types of wedding rings for women. These feature a row of diamonds without a metal border to allow maximum light reflection and sparkle. 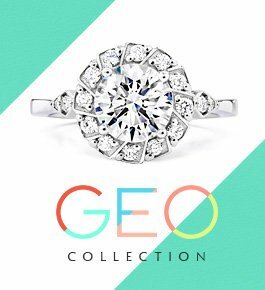 In prong-set diamond rings, all you see is diamond brilliance. 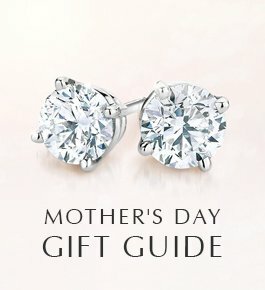 Many women gravitate toward scalloped pavé diamonds. 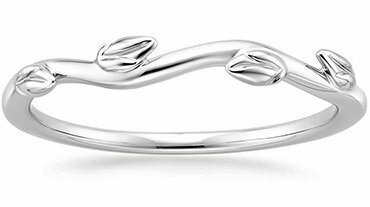 This style features rounded cutouts on the sides of the band, which minimize the amount of visible precious metal to create an effect of pure shimmer. French pavé refers to a method of setting accent diamonds to maximize the amount of light that hits them from the sides, increasing their sparkle. 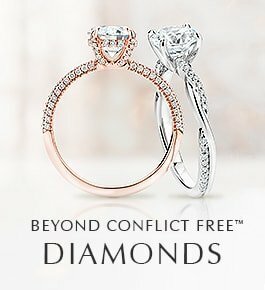 In French pavé settings the metal forms a “fishtail,” or a small U or V shape underneath each diamond, exposing the sides of the diamonds. 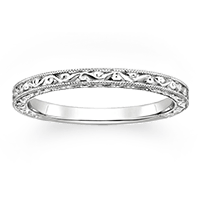 These wedding rings, which have no embellishments, are timeless and classic. 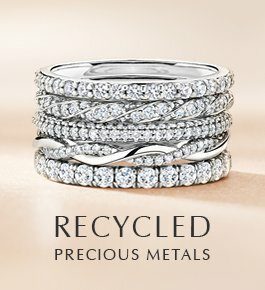 Traditional and comfortable, plain wedding bands—in platinum, 18K gold, 14K gold, and palladium—match everything. 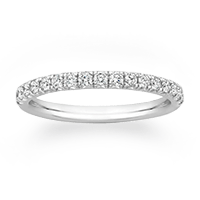 Beautiful with an engagement ring or on its own, a diamond eternity band features gemstones that wrap completely around the finger, allowing the band to sparkle and shimmer from every angle. 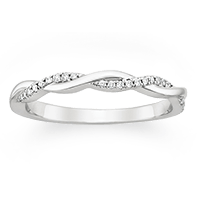 One consideration is that eternity rings are difficult to alter if your finger size changes over time. 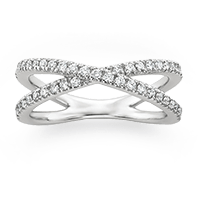 We offer many styles and various shapes and sizes of diamonds in eternity bands so you can make the best possible choice. 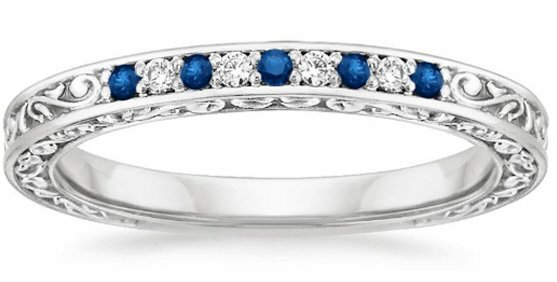 Add a splash of color to your wedding ring and wedding set by selecting a band with sapphire accents. This can be an alluring coupling whether or not you have a sapphire engagement ring. 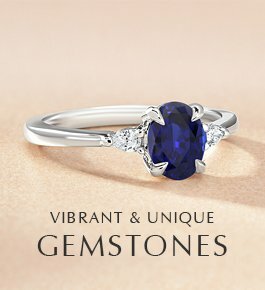 Our selection of sapphire wedding rings suits a variety of styles and tastes.